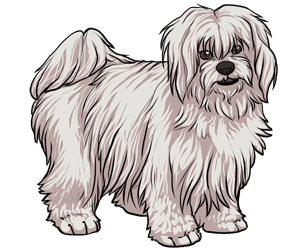 The Coton de Tulear is descendant of the extinct Coton de Reunion. Coton de Tulear appeared on pirate and slave-trading ships and ports in Madagascar in the 17th century. The breed was adopted by the ruling family (Merina) and they became known as the The Royal Dog of Madagascar. Coton's could only be owned by royalty or noblemen. When France conquered Madagascar they adopted the breed. Is not part of the AKC and most breeders and organizations don't want them to be. 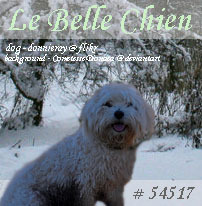 Is part of the Bichon family alongside Poodles and Briards. Glenn Close owns a Coton. The official dog of Madagascar.